The system offers a convenient way for voters to easily register or change their address if they have moved. Counties across Tennessee can now securely receive voter registration information faster than using traditional paper registrations. “This system meets people where they already are: online. It will improve accuracy and efficiency for voters and election officials by ensuring there are fewer errors and more accurate voter rolls. I would like to thank Sen. Yager and Rep. McCormick for their leadership in making this system a reality for Tennesseans,” Secretary Hargett said. The new system will allow U.S. citizens with a driver’s license or photo ID issued by the Tennessee Department of Safety and Homeland Security to register to vote online. Each online submission is checked against the department's database while securely obtaining an electronic signature already on file with the state. The system will also help streamline the process of changing a voter’s address. It allows someone to update their information instantly while reducing time-consuming data entry by state or county employees who traditionally had to manually type in what voters write on paper forms. Tennesseans must still register online or use a paper form at least 30 days before an election to participate. 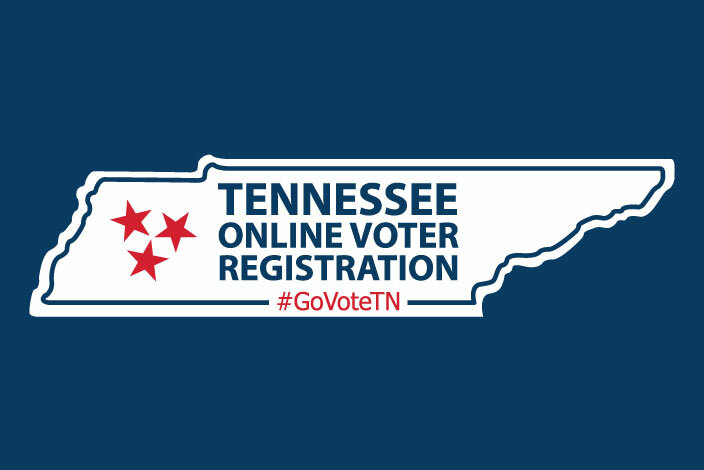 For more information on Tennessee’s new online voter registration, visit GoVoteTN.com.